Pilot a flying submarine past icebergs. 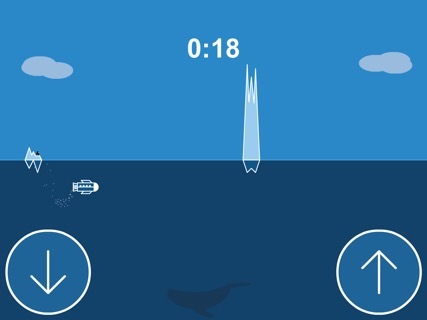 Pilot your flying submarine past icebergs both above and below the water. 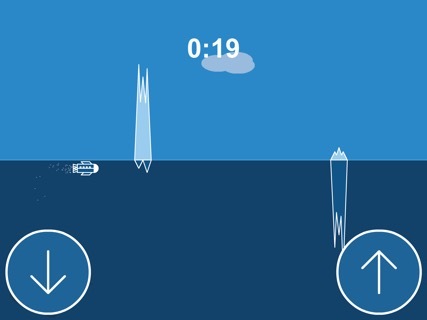 Jump or dive to avoid the small ones, rise above or fall below the surface of the ocean to avoid the larger ones. See how far you can get in the quick-play arcade/action game.